The Delegal Law Offices, P.A. 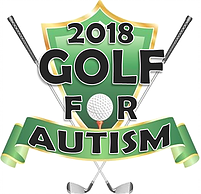 Golf Tournament for Autism will be held at Blue Sky Golf Club Saturday, April 29th, 2017. An 18 Hole, 4-Person Best Ball tournament will follow the 9:00am Shotgun Start. Registration begins at 8:30am. There will be a chance to win great prizes including a Putting Contest, Closest to the Pin Challenge and many raffles. Lunch and an award ceremony will follow the round of golf. This Charity Event will benefit the students and families of The Jericho School! So come on out to join us for a fun day on the golf course.